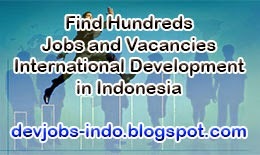 Know about 'nasi goreng'...? Perhaps fried rice is more friendly name for 'nasi goreng'. For you who have stayed in Jakarta for a while and have tasted what 'nasi goreng' is like must have sometimes missed it so much when you have been staying here in Jambi. 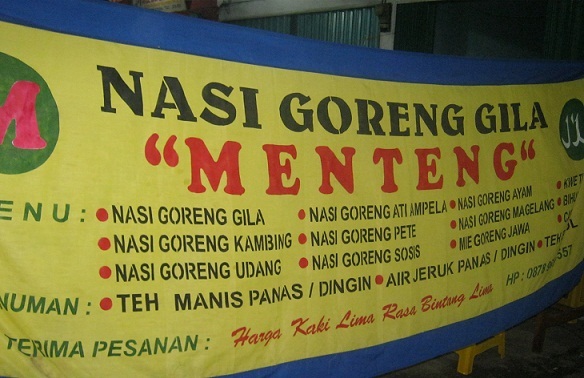 But no more worries, now you can find a Jakarta's taste guaranteed of 'nasi goreng' called 'Nasi Goreng Gila Menteng'. Located in two separate places, the first counter is located in front of entrance gate of Villa Gading Mayang Estate and the second booth is in front of state library building TAC. The owner of 'Nasi Goreng Gila Menteng', Mas Slamet, guaranteed that you will sense same taste and aroma of his 'nasi goreng gila' as if you buy them in Jakarta because this menu is his creation when he vended fried rice with same name in Taman Suropati, a park in Menteng, Jakarta Pusat Regency. Since the park was forbidden for street vendors, Mas Slamet migrated to Jambi and he has been staying here for almost 2 years vending his trademark 'Nasi Goreng Gila Menteng'. 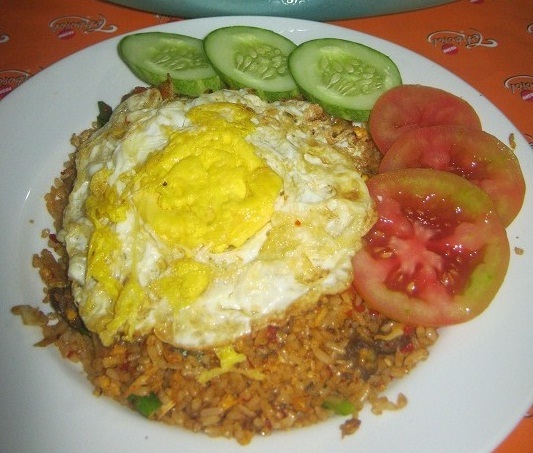 Just come and taste the real 'nasi goreng' from Jakarta there, this culinary brought to you a five stars hotel taste at as low as street vendors price.